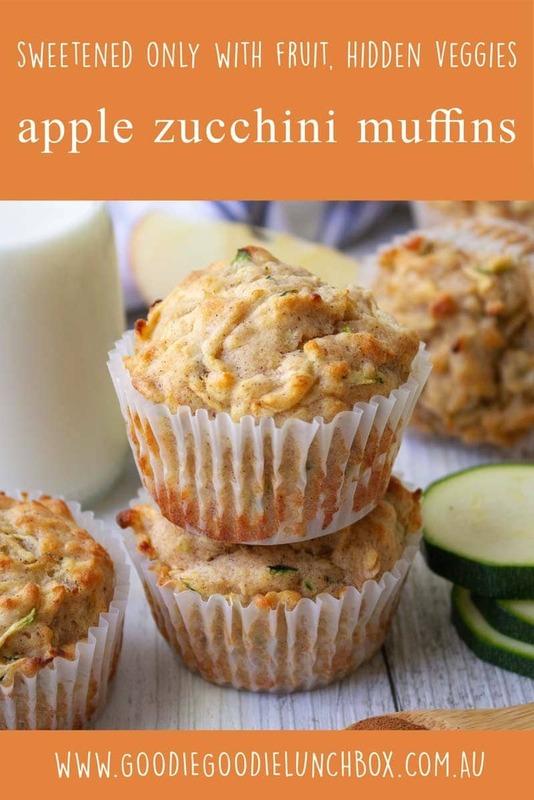 What can I tell you about these Apple Zucchini Muffins? I am super happy with this recipe. Light – tick. Bit of sneaky veg – tick. No added sugar – tick. And they taste – AMAZE. I really love using zucchini in baking. 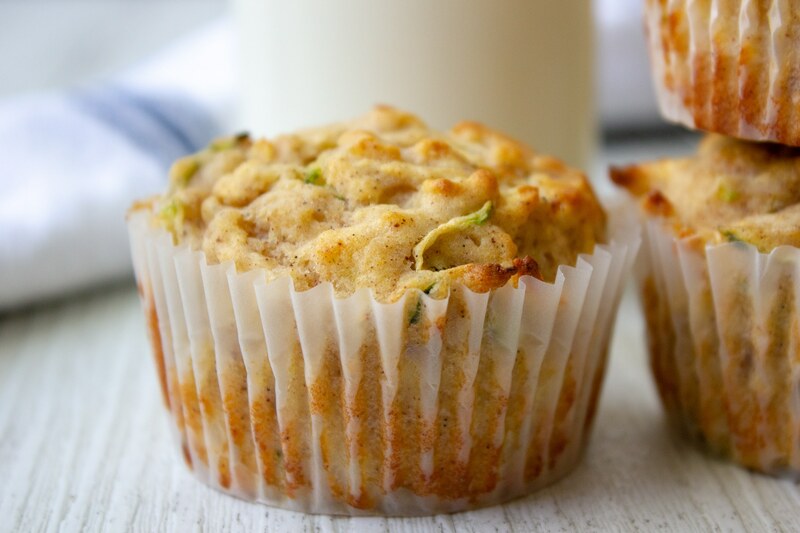 And it’s fabulous in these Apple Zucchini Muffins. It’s barely perceptible and adds a gorgeous moistness to baking. I have mentioned before I am a little on the fence about hiding veggies. And while I love to add veg to baking my kids know about it. But each to their own. Like a lot of my recent recipes these Apple Zucchini Muffins are sweetened only with fruit and have no added sugar. 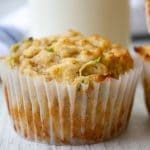 These muffins are not overly sweet and they are so soft so they would be perfect for baby led weaning or a toddler snack. They are also just perfect for lunchboxes. 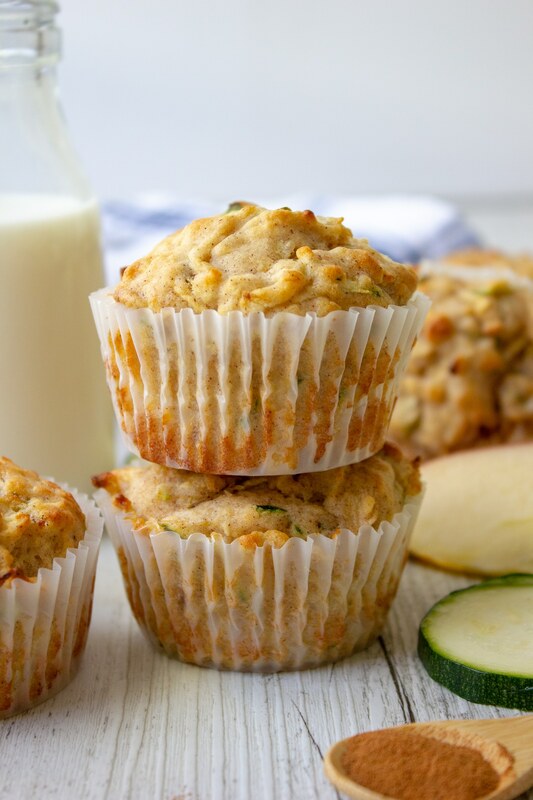 I also love these Apple Zucchini Muffins for my breakfast as a nourishing start to the day. They are perfect for me to just grab and go as I am often running for my train and don’t have time to eat breakfast at home. 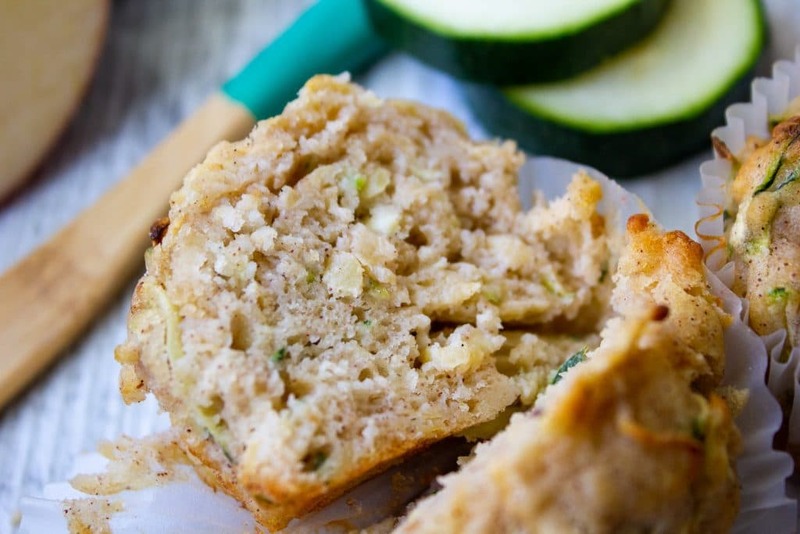 Do you love zucchini in baking? Why not try these Double Chocolate Chip Muffins with Zucchini or for more baking with no added sugar try my delicious Apple Oat Cookies or my Healthy Banana Bread. These Apple Zucchini Muffins with No Added Sugar are a must make for school lunches. They are light and delicious. 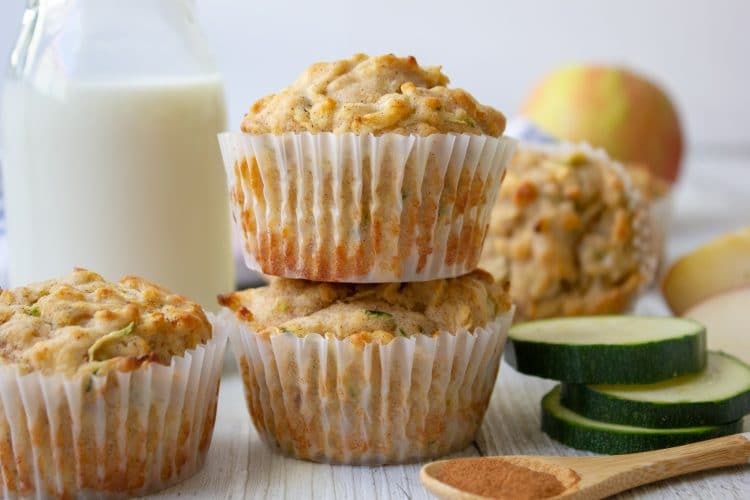 These Apple Zucchini Muffins freeze well. After baking, cool completely then transfer into a ziplock bag and freeze for two – three months. If your apples and zucchini are particularly juicy squeeze excess liquid out by grate the apple and zucchini onto a clean dry tea towel and then roll tightly and squeeze over the sink until as much liquid is removed as possible. 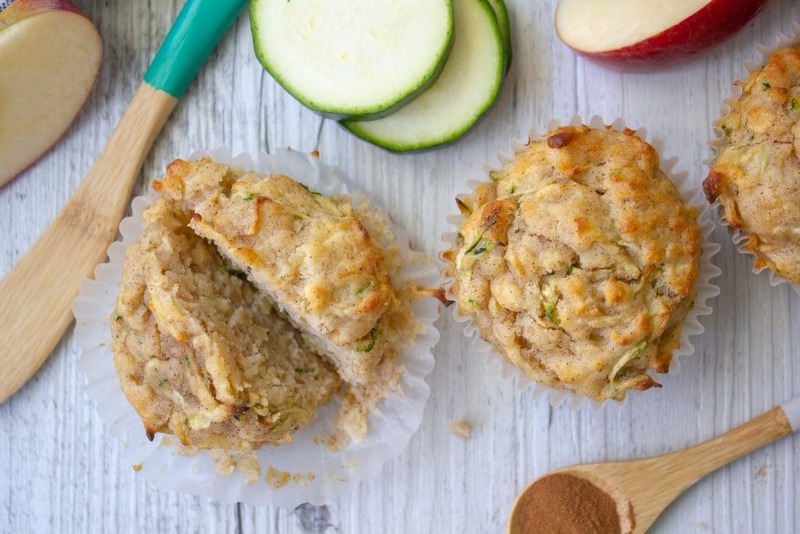 I hope you enjoy these Apple Zucchini Muffins as much as we do. Remember to get social with me – I love hearing from you! Take a snap of your goodies and share with me over on Instagram or Facebook. Apple is one of my favorite flavors! Thank you for this awesome looking and healthy recipe…. Hi, could you please tell me to how many grams corresponds, approximately, 1/2 cup ? Thank you very much! !